At the end of Cunningham Pier, which juts out into Corio Bay, Baveras Brasserie is apparently the only place you can dine on the water in Geelong! We ended up there as our reservation at the sister restaurant Black Sheep had to be moved due to the arrival of a new oven, however this was done seamlessly, and money was put on to our tab at Baveras, which more than made up for the slight inconvenience. Inside the decor mixed formal and relaxed touches, with some interesting pieces of furniture. 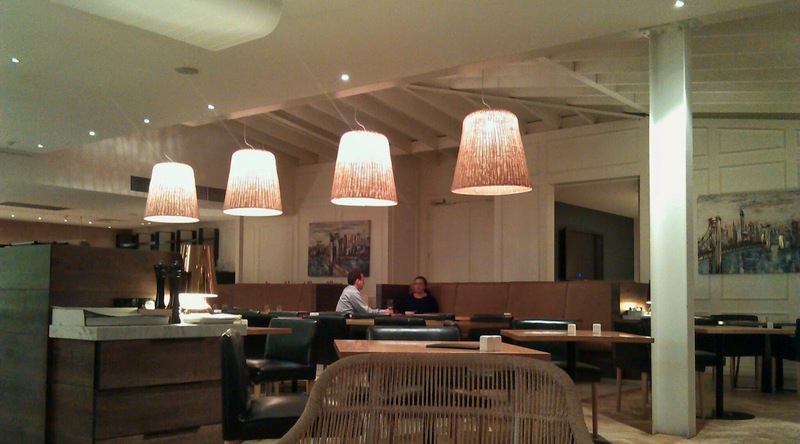 There were several other tables of diners there when we arrived just after 8 on a Thursday before a long weekend. We took a while to figure out what we fancied to eat, too much chatting with our old friends. 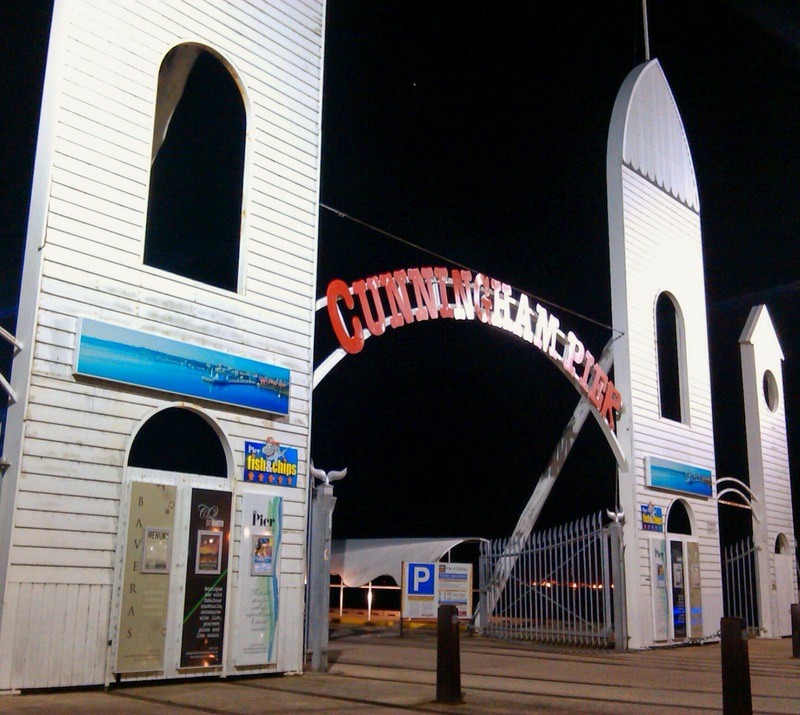 The menu offers a few Aussie standards along with plenty of fish, seafood and quite a few asian influenced options. We ended up sharing a few dishes as entrees. 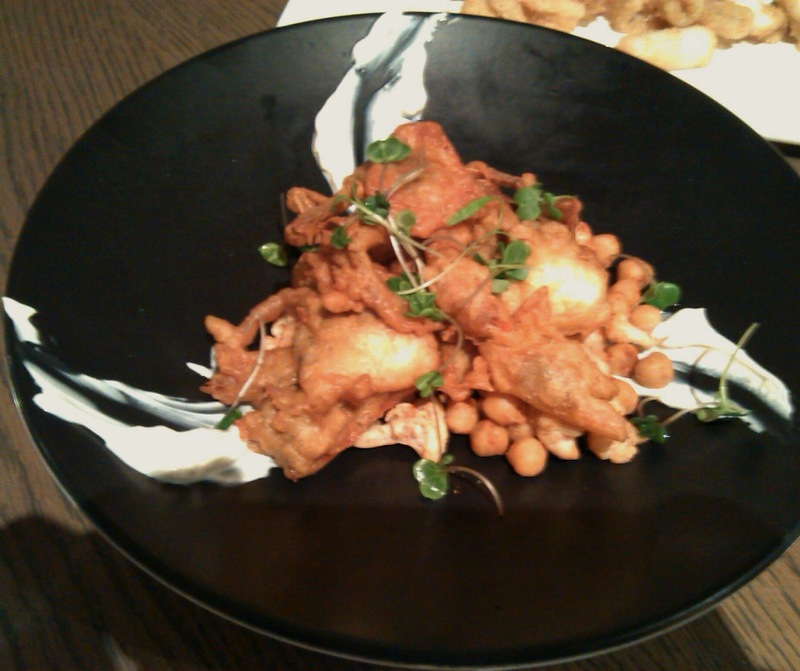 The Soft shell crab in bhajji batter came with spiced cauliﬂower and chickpeas and a lemon zest yoghurt. The crab was fine, but I enjoyed the chickpeas and cauli more! 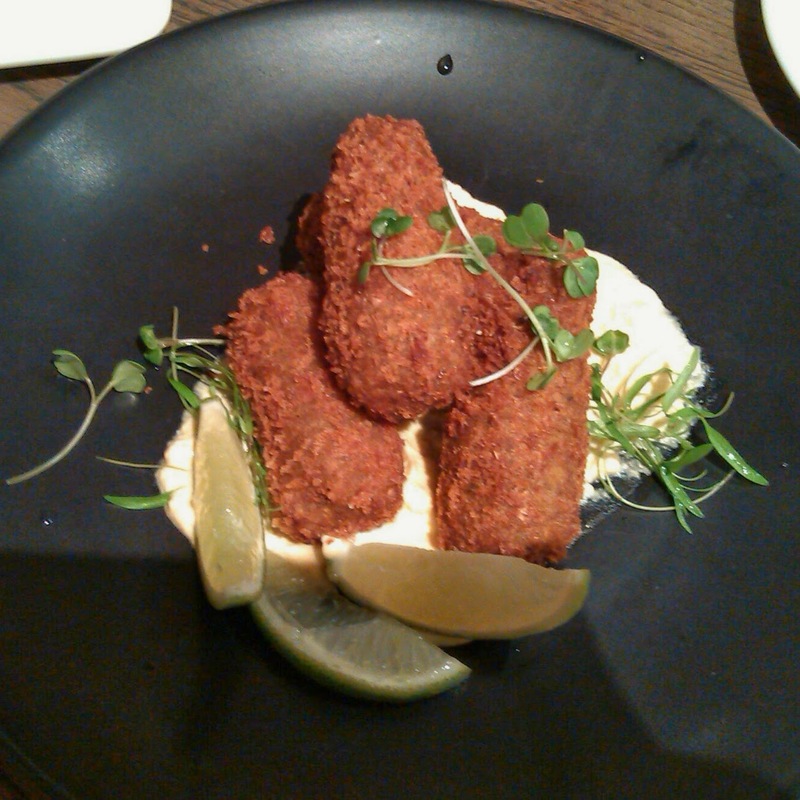 The smokey eggplant croquettes sounded wonderful on paper but weren't particularly memorable. They were served with, a sweet paprika, turmeric, soy mayonnaise and lime wedges. The flash fried baby calamari was accompanied with cumin salt, tzatziki and lemon. The squid was tender and the flavours worked well. 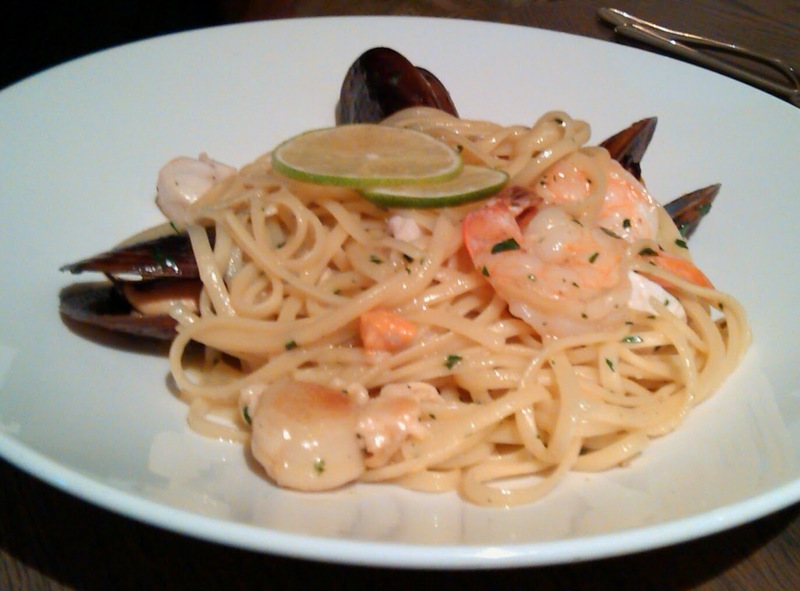 Both the ladies went for the seafood linguini which featured Portarlington mussels, prawns, scallops and market fish, and seemed to go down well. 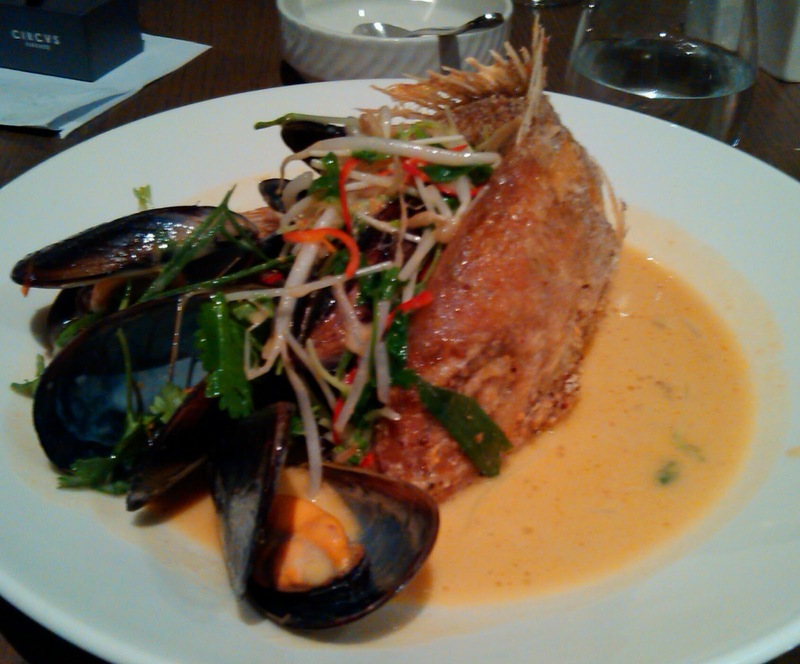 I had the whole baby snapper which was presented spectacularly sitting curled on the plate, in a panang coconut broth, along with mussels, and a sprout, coriander and lotus rootlets salad. The skin was crispy and the flesh moist, the curry was mild but nicely flavoured, and the salad and mussels worked well with the dish. Some rice on the side might have been a good addition. 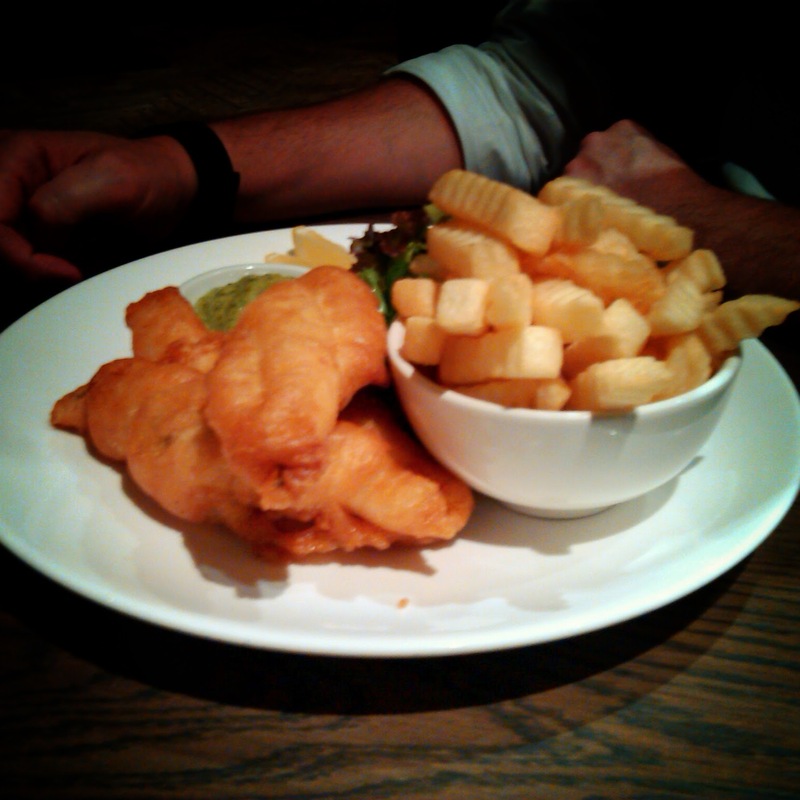 Despite not being on top form Phil managed to make a good dent into the battered flathead tails and chips, which came with dressed leaves and a green tartar. The service was good all night and tolerated our early indecision well. Eventually when we came towards the end of the meal no more drinks were offered, but there weren't many other tables still occupied by that stage. The bill came to around $250 including a bottle of wine and several beers, which seemed like good value. We'd certainly think about dropping in again if we were in town, and it would be great to be there in daylight to catch the views.